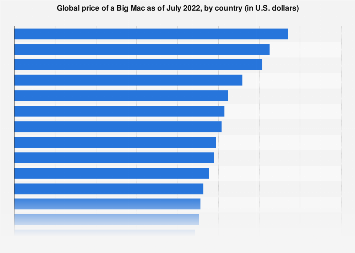 Invented by The Economist in 1986, the Big Mac index has ever since been the go to guide for burger connoisseurs to check purchasing-power parity around the globe. 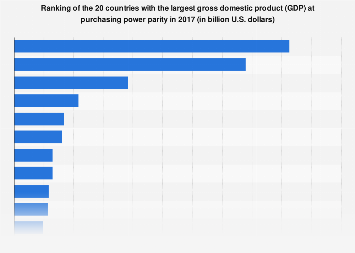 Even though it was never intended to be a precise economic parameter, burgernomics somehow emerged as a promising niche field of economic studies. 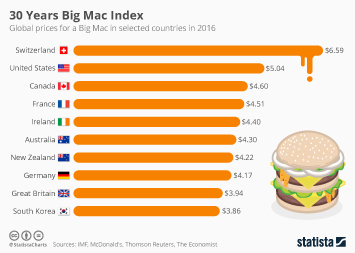 The Big Mac index has become a global standard and is subject of at least 20 academic studies and a topic within several textbooks. 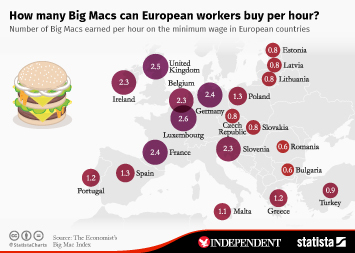 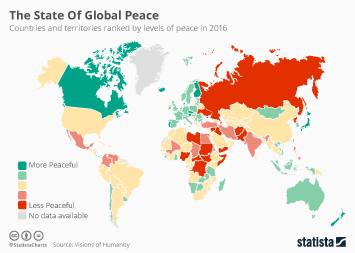 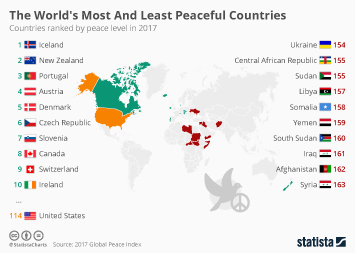 As this graphic indicates, Ronald McDonald must earn a fortune with his Swiss sales operation where the fast food classic can be bought for $6.62 whilst the Russian version of the American franchise offers Big Macs for only $1.65.